Feb. 2 at 7 p.m. Please click here to submit a question for Jose Antonio Vargas. If selected, you would have the opportunity to ask your question at his lecture on February 2 at the Performing Arts Center. Deadline for submission has been extended to Jan. 29. 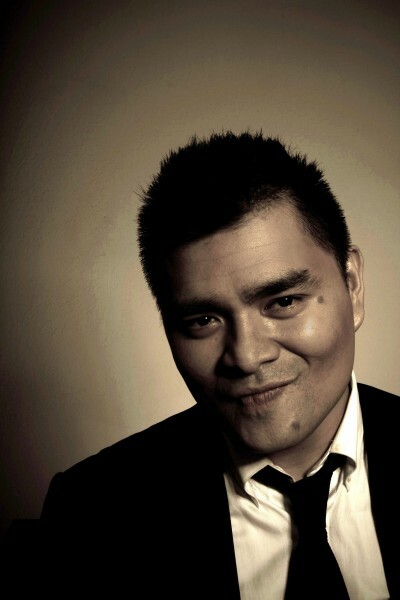 Georgia Southern University presents a lecture by Pulitzer Prize winner Jose Antonio Vargas on Tuesday, Feb. 2, at 7 p.m. in the University’s Performing Arts Center. The event is free and open to the public. A Pulitzer-Prize-winning journalist, acclaimed documentary filmmaker, and founder of Define American.com and #EmergingUS, Vargas seeks to elevate the conversation around race, immigration, identity, and citizenship in a multiracial America. After “outing” himself as an undocumented immigrant in The New York Times, Vargas was featured on the cover of TIME magazine as the face of the conversations about immigration in America, and has testified before the US Senate. His film about his experiences, Documented, has won several awards and recognition by multiple film festivals and associations and will be shown Jan. 28 at 7 p.m. in the IT Building room 1004 and again on Feb. 1 at 6 p.m. in Russell Union room 2047. View the trailer for Documented here. In July 2015, he produced and starred in White People, a film for the MTV “Look Different” campaign about being young and white in America. In addition to his work on immigration matters, Vargas has had a prolific journalism career, including work for The New Yorker, the Huffington Post, and the Washington Post, among others; he has covered a wide range of topics, including tech and video game culture, HIV/AIDS, the 2008 presidential campaign, and an acclaimed profile of Mark Zuckerberg. Vargas was part of the team that won a Pulitzer Prize for covering the 2007 massacre at Virginia Tech, and his 2006 series on HIV/AIDS in Washington, D.C., inspired a feature-length documentary — The Other City — which he co-produced and wrote. In 2007, the daily journal Politico named him one of the 50 Politicos To Watch. Students interested in meeting and attending a reception with Vargas on the day of the event are invited to submit a question for the speaker using the link on GeorgiaSouthern.edu/class/vargas. Participation is also encouraged on social media using #VargasGSU and #DefineAmerican. In addition to ALAS, this event is sponsored by the Campus Life Enrichment Committee, College of Liberal Arts and Social Sciences, College of Education, College of Health and Human Sciences, College of Science and Mathematics, Jiann-Ping Hsu College of Public Health and Zach S. Henderson Library; the Departments of Communication Arts, Criminal Justice and Criminology, Foreign Languages, History, Literature and Philosophy, Political Science, Sociology and Anthropology, Teaching and Learning, and Writing and Linguistics; First-Year Experience, the University Honors Program, Center for International Schooling, Center for Irish Research and Teaching, Institute for Public and Nonprofit Studies, Multicultural Student Center, and the Office of International Programs and Services. Additional information is available by emailing Marti Lee at mlee@georgiasouthern.edu and on Vargas’s website: joseantoniovargas.com.